Many people lately have been asking how we told our parents we were expecting. 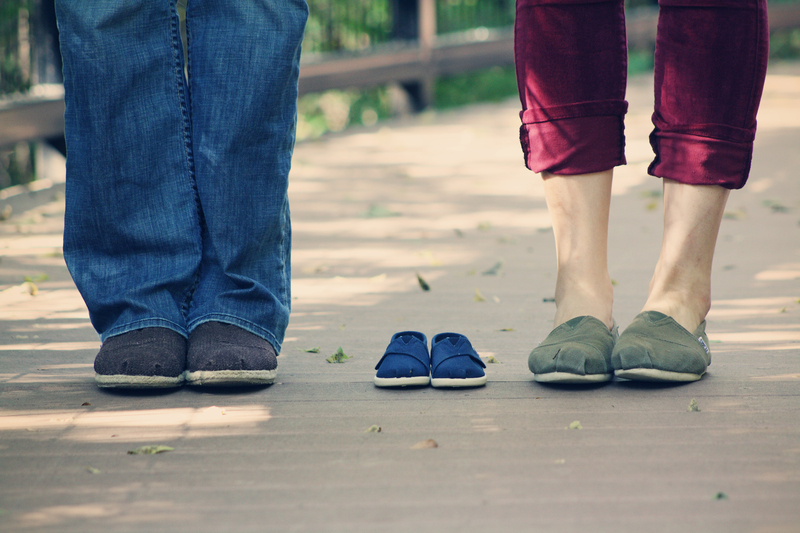 So, I figured I would fill you in on what we did to announce our pregnancy. Way back in October, we decided to have our regular session of professional photos taken for the holiday session. This time we chose Vintage Bloom Photography; she was a sweet photographer who recently moved from Colorado to Texas. We were considering starting “trying” that month, so we decided as part of the photography session (for a couple photos) we would be including baby footwear. The photographer was all for it and very excited for both of us! She even mentioned being more than happy to do my pregnancy photography. Though, I was kind of nervous we were jinxing ourselves on the whole baby thing, we went ahead with the photos and the husband reassured me that such jinxing was improbable. When the time came and we found out we were actually expecting, we decided to blow up that same picture and photoshop a little note that read: baby snitker august 2013. We put them in nice 8×10 frames for both our parents and had them open it as their very last gift during our Christmas festivities. Needless to say everyone was overjoyed with our news; there were some tears of joy, and everyone was very excited to have another little bean added to our extended family. With the frame, we figured we could always send more pictures to be switched out of the little guy or gal during each stage of development. Another exciting announcement comes when we find out the gender of our bean at 20 weeks. 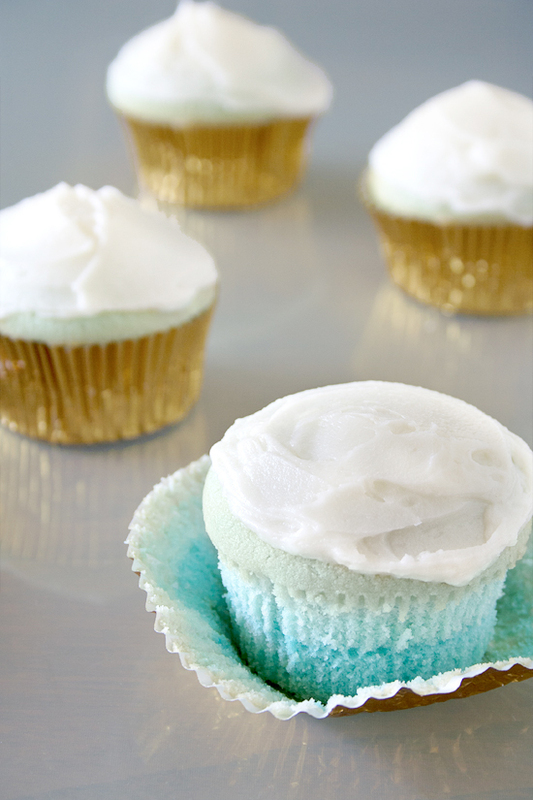 We are very much considering finding out (okay, I think its a done deal), and I think a fun way to have people find out would be shipping our families little cupcakes from a local bakery either with the gender written on them or pink or blue cakes! Then, have them all open them via FaceTime or Skype! Kinda fun when we don’t all live in the same town! These are just two ways we celebrated/plan to celebrate the amazing process of expecting and gender announcements. 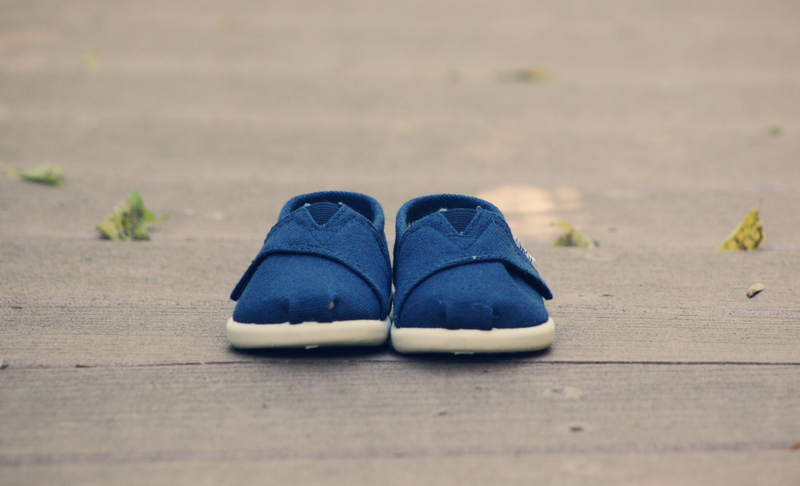 The bambino will make his or her own announcement on their own time in August. I can’t wait to see what date he or she picks! I hope nothing goes wrong that we need to be induced or have a cesarian section. I just want the little dude or dudette to come as it pleases! I’m sure mothers are laughing at me because I know around 36-40 weeks, every mother wants that baby out as soon as possible. I’ve seen it. OOOOH! I just found your lovely blog Sarah!Thanks for the kind words and congrats again on your expected baby :) It was a pleasure meeting you and your husband!